You know the adage: a picture is worth a thousand words. 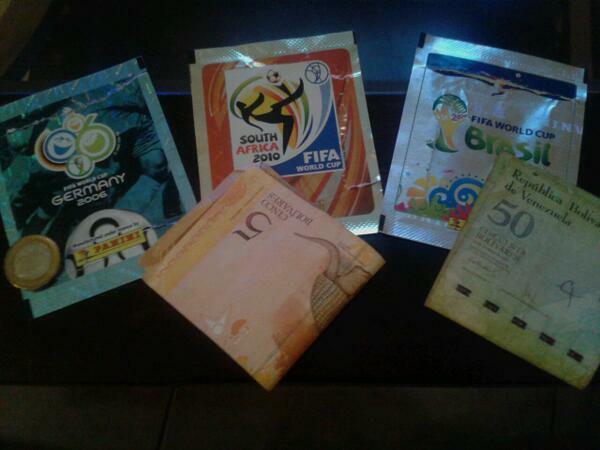 So, what better way to show how inflation has affected us… than the prices of trading cards for the World Cup album? A little context for those who don’t know: during FIFA World Cup years, one of the most popular items is the official trading card album. Even if I didn’t collect them myself back in the day, I know from experience how big this was and still is – kids and adults buying and exchanging cards not only in schools, but everywhere. The picture puts in context how much prices have gone up in the last eight years (three World Cups). Look the big difference between South Africa 2010 and Brazil 2014. This image has become viral in recent days and for a good reason, since it touches on something everyone relates to. Another piece of the leagcy left by the comandante eterno… Still, they prefer to compete with a sticker album of their own. Looks like their overall priorities are still intact, sort of speak. Next articleThe war on journalists gets worse, cont.